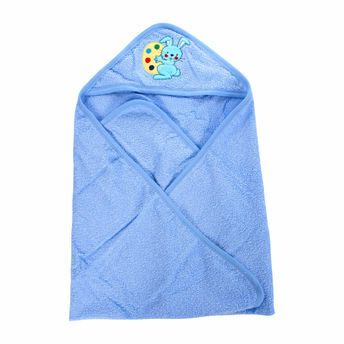 Keep your little one clean and warm with the adorably cozy Mee Mee Soft Absorbent Baby Towel With Hood. This towel is made of absorbent material which helps you to dry your baby easily. The corner hood ensures that your baby will be cozy and dry from head to toe, making it extra gentle on your baby's delicate skin. This hooded towel is just the right size to wrap and dry your baby. Explore the entire range of Bath Time available on Nykaa. Shop more Mee Mee products here.You can browse through the complete world of Mee Mee Bath Time .